This excellent addition to the UTiCS series of undergraduate textbooks provides a detailed and up to date description of the main principles behind the design and implementation of modern programming languages. Rather than focusing on a specific language, the book identifies the most important principles shared by large classes of languages. To complete this general approach, detailed descriptions of the main programming paradigms, namely imperative, object-oriented, functional and logic are given, analysed in depth and compared. This provides the basis for a critical understanding of most of the programming languages. An historical viewpoint is also included, discussing the evolution of programming languages, and to provide a context for most of the constructs in use today. 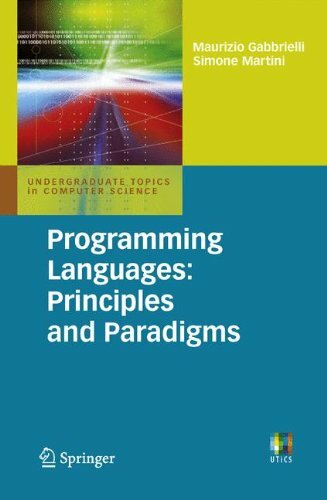 The book concludes with two chapters which introduce basic notions of syntax, semantics and computability, to provide a completely rounded picture of what constitutes a programming language.